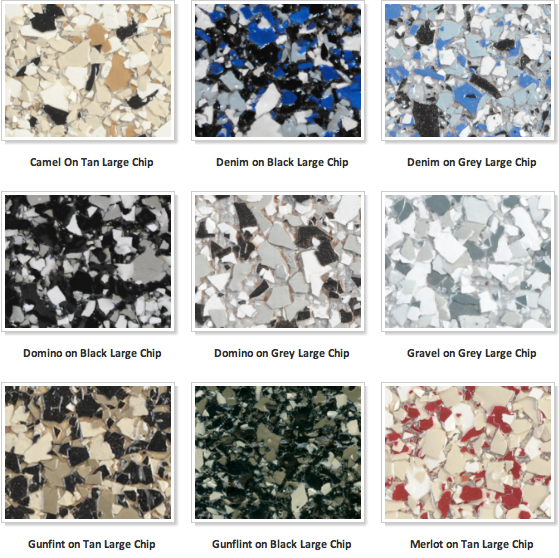 Our chip systems provide decorative yet highly durable surfaces with the appearance of granite, marble or terrazzo. Our 2 layer, easy to install chip systems are our most popular seller with installers. 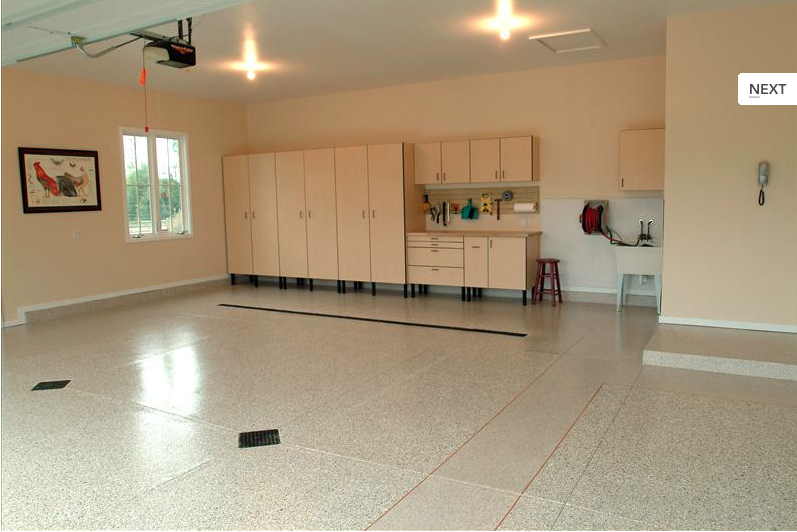 They are great for any garage, basement, bathrooms, and light commercial environments. Use RG-80x as a top coat for ease of use. 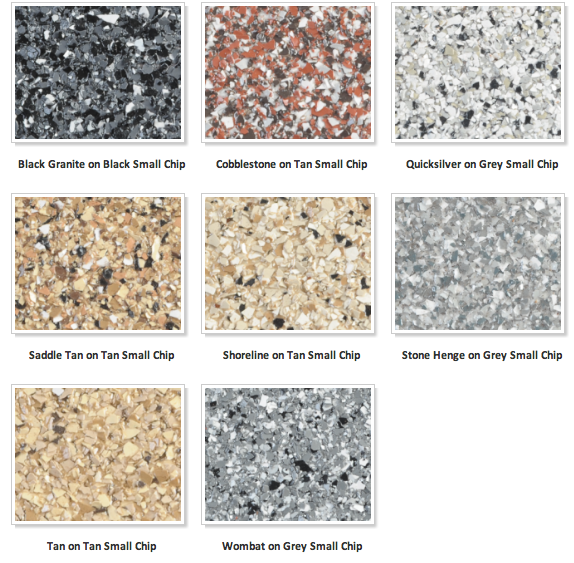 There are many different colors of chip to choose from which makes it easy to make that exact floor that you have been picturing! 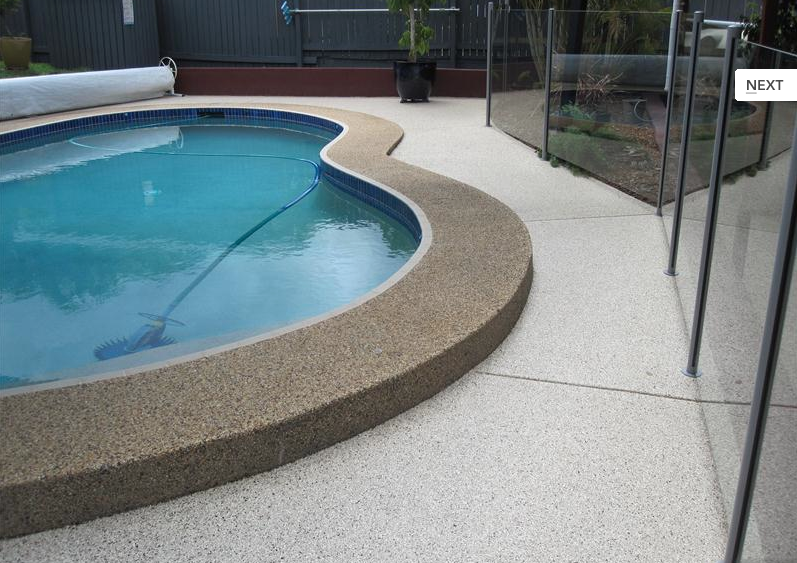 Other acrylic and urethane chips have a non-flexible nature which results in more topcoat being required. 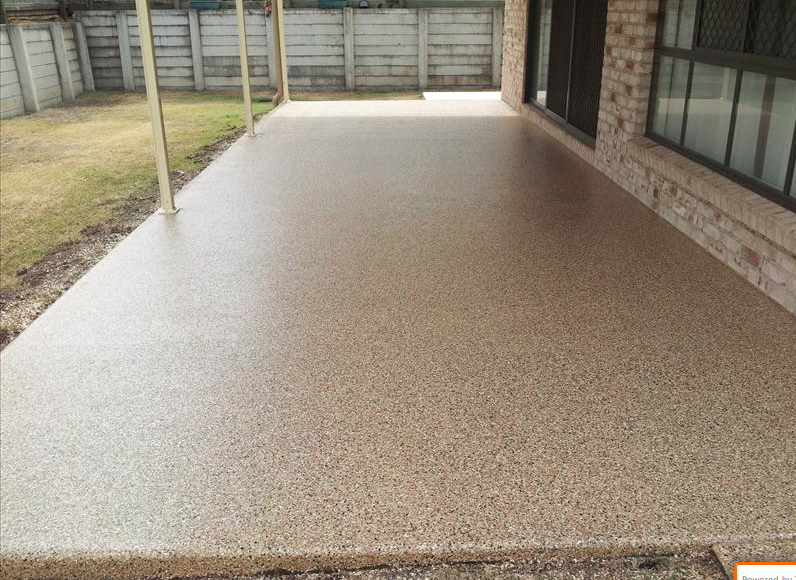 This can raise the cost of a floor by 15-20%. 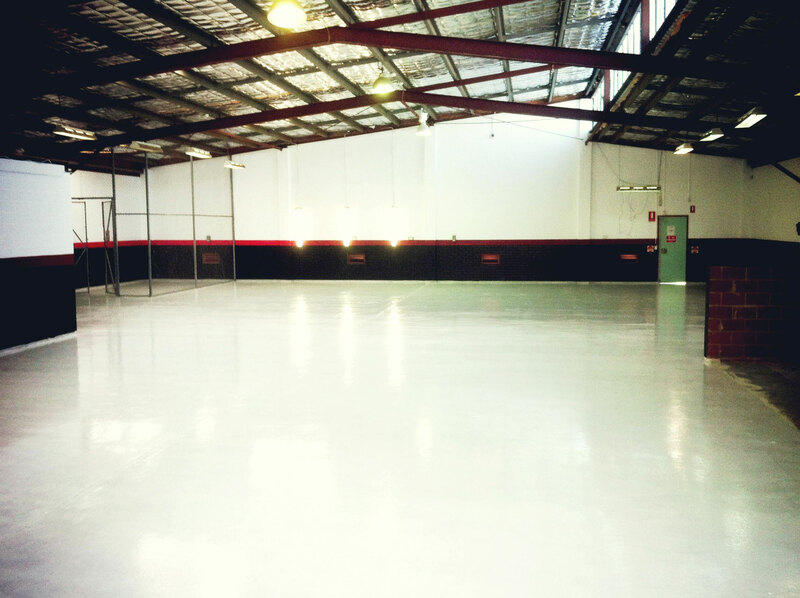 These non-flexible rigid chips also cannot be smoothened which means the floor can become too rough. 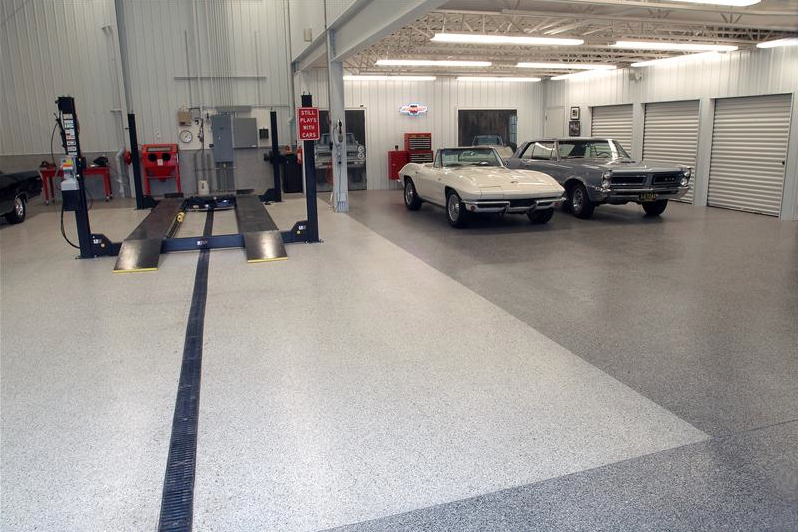 With our vinyl chips, floors are even and smooth. 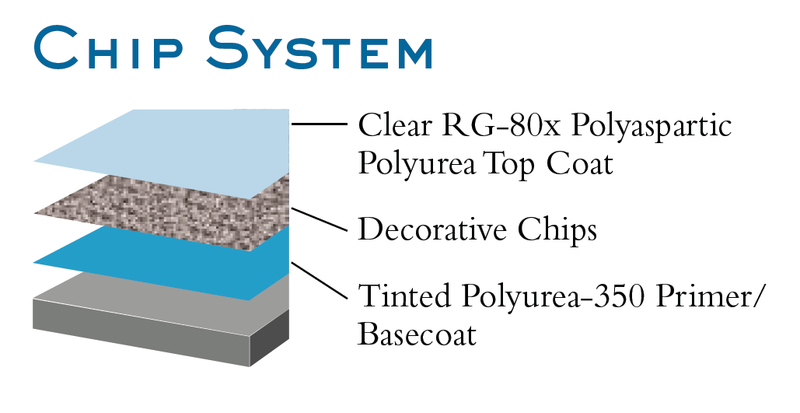 The way that some of the other companies handle the use of the Acrylic and Urethane chips is to do what is considered an 80-90% broadcast, leaving a large amount of basecoat showing through and creating patches or uneven areas of coverage. This is what allows them to reach their coverage rates with their topcoats. 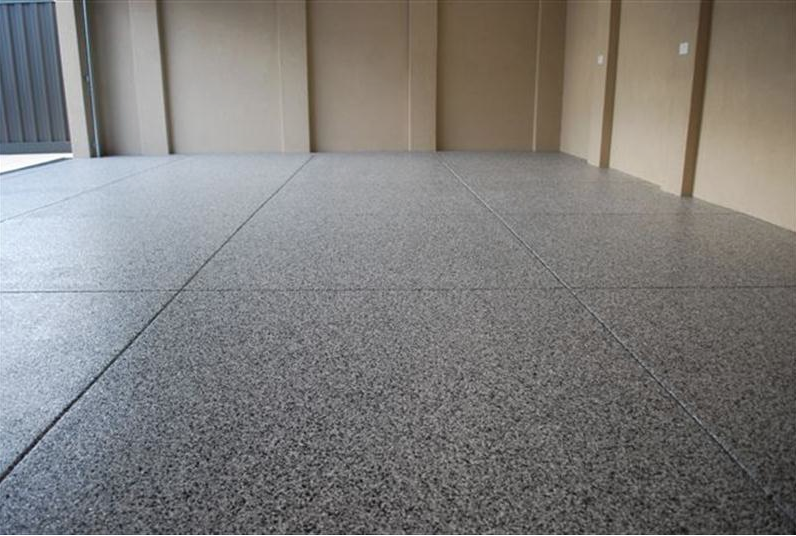 Sacrificing looks for cost is something that Citadel Floor Finishing Systems is not willing to do, and we urge our customers to follow suit. Installing premium finish floor coatings using premium products is what sets Citadel installers apart from the competition.